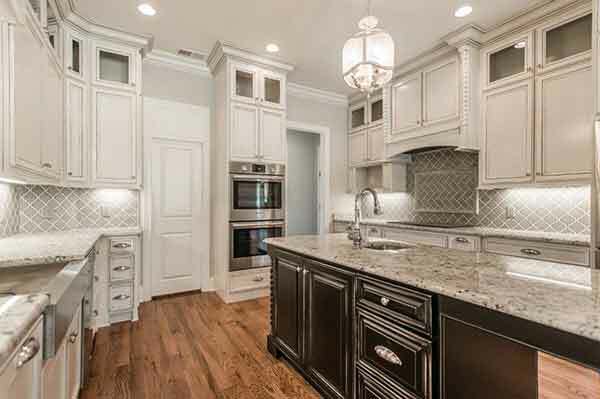 Founded in 1998, Elite Installation & Design Countertops moved from Gallatin to Hendersonville in 2000. What began as a business outfitting counters in tour buses soon grew so that residential and commercial jobs far outnumbered work on tour buses. Chris Brown and his talented team of skilled craftsmen built of the only three Corian® fabrication centers in the Nashville area in 1998. Within a few years, the team opened the first granite fabrication shop in the Nashville area. 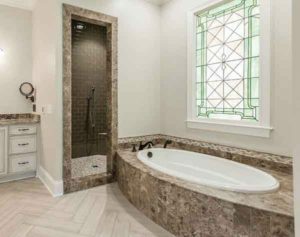 Elite has become the leader in fabrication and installation of natural and engineered stone countertops in Middle Tennessee. With over 60 years of combined staff experience in the industry and its investment in cutting edge technology, Elite has made a science of fabricating stone countertops. Dena Brown who serves as office manager and human relations manager, has been with the team since the beginning. Initially, the Elite fabrication shop consisted of hand tools and templating was done using cardboard. Today equipment includes a CNC Waterjet, inline polisher, CNC 5 Axis saw, and templating is done by laser. Fabrication has come a long way, mostly in the tooling and equipment area, since Elite opened its doors. Brown says, “We now create laser templates which are e-mailed to the CAD designer. We can begin production before our laser template staff even return from the jobsite. Elite has a tremendous selection of stone imported from around the world. 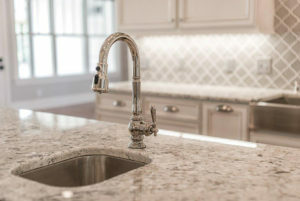 The 20,000 square foot facility, and 4,000 square foot showroom have numerous displays and thousands of samples with a variety of sinks to choose from. Dena says, “We have natural stones such as granite, marble, soapstone, quartzite, etc., on display. We also have 18 brands of quartz products and nine brands of solid surface products on display.” The company creates surfaces for kitchens, baths, hearths, and more. While visitors are welcome to drop in, Elite recommends scheduling an appointment although it is not required. “Customers are welcome to wander in and browse,” Dena says. An appointment can be scheduled in the showroom or on the job site if they would like to talk in depth at a later date. Elite is special in many ways, the Browns agree. “We have a large showroom, state of the art equipment, and friendly, knowledgeable staff, Brown says. “We have an A + Better Business Bureau rating and have been a Talk of the Town customer service award winner for 7 consecutive years (2012-2018), as well as a Nashville Home & Home & Garden magazine reader’s favorite winner since 2009. Elite Installation & Design Countertops serves a 100-mile radius and most countertops are ready for use in 2-3 business days. For more information call 615/ 264-9370 or visit www.countersbyelite.com.